Hey guys. 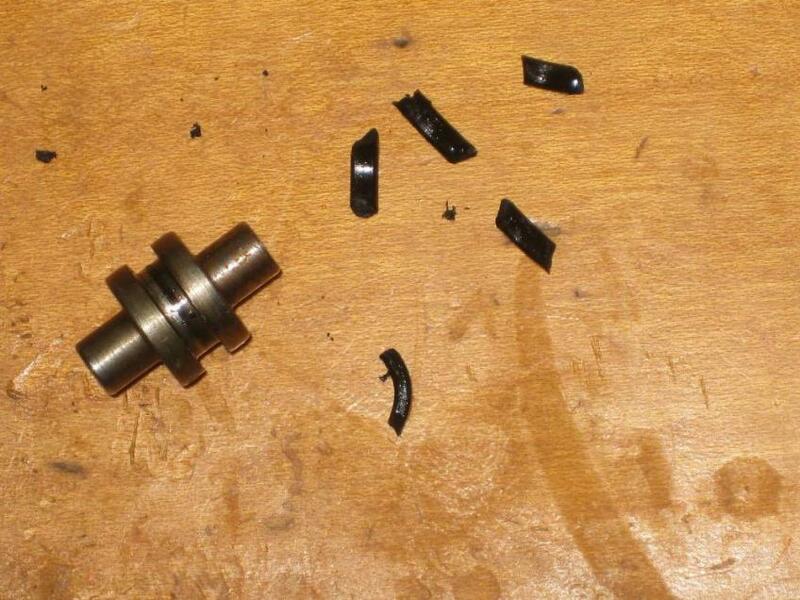 I posted a while back about cam seal replacement. I ended up ordering 4 seals and pushing them into the engine using a tool my friend had. Worked pretty well and it was fully seated. This is on a 2000 S40 1.9t. I put the sprockets back on and timed it. I started it up again yesterday and the engine ran great, except it's still throwing oil around from the CVVT pulley. I'm leaning toward the cap on the pulley and I have a few questions before I just jump in. If it is the O-Ring (likely because this thing's now been removed twice) what kind of new O-ring should I use to replace it? Oil gets pretty hot and I don't want to have additional trouble. Also, if I were to run the engine with the cam adjust soilenoid disconnected, would it simply not route any oil into the CVVT? If no oil was being pushed into the hub I'd think that would stop the leak and be a great diagnostic tool to ensure I'm seeing the right thing. I don't see any oil seeping out around those weird bolts on the pulley, as I've read to expect. So that's where I'm leaning. Any experienced advice around? Thanks guys, you've been a big help. This thing's been a nightmare for the last year after the head gasket blew and I ended up venturing into big boy land. Last edited by joedogg; 06-18-2012 at 10:57 AM. Reason: Specify the car's model. On mine oil was coming out of the little plunger thing on the CVVT gear. I just replaced the whole CVVT gear to fix it. I've read of one other person replacing an o-ring somewhere to stop the leak but it soon returned. Not sure what disconnecting the CVVT solenoid will do other than set the CEL. Give it a go and see? Over the last 3 years I have had to replace atleast 10 of the VVT pulleys for oil leaks. Okay, so what I'll do as a test is remove the cap and put sealant around it then replace it and let it cure. Then I'll see if it initially leaks. The sealant should hold up long enough to see if it's leaking at all, and it's easy enough to clean up. Then I'll replace the ring on the cap, if that doesn't do it I'll do the gear itself. Hi, I'm facing this problem and curious how you ended up fixing it? Did the sealant (i'm guessing you used silicone) work? 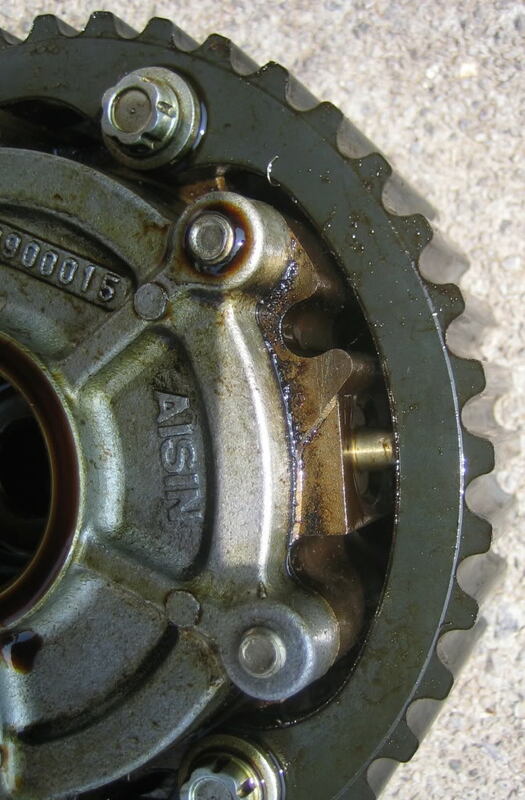 Did you just replace the O-Rings for the CVVT gear/hub? Or did you end up having to replace the entire hub? Thanks! I have read, since the first post above, of people replacing the o-ring with success. I just replaced the whole CVVT gear Saturday so I've still not tried it myself. 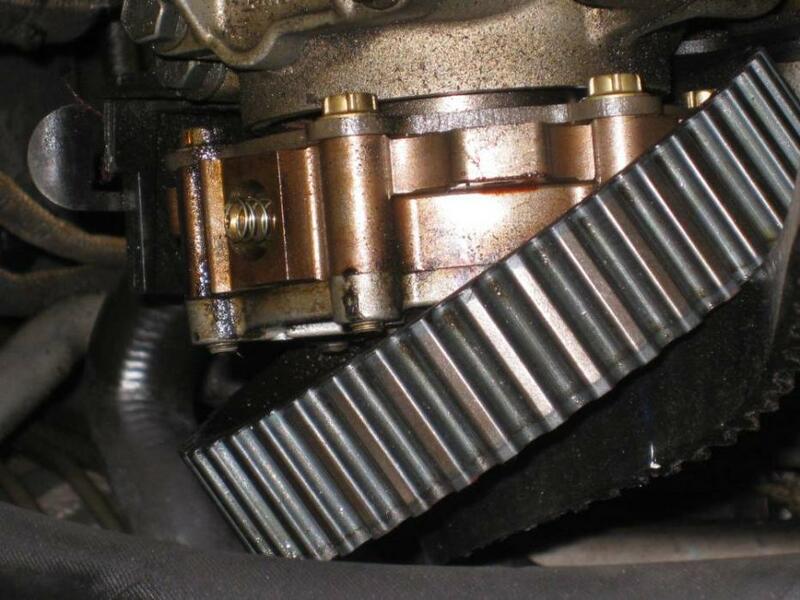 Did you just replace gear itself or did you do timing belt and seals as well? I see you did it in 2012 as well, was that on another car or same car? Timing belt, tensioner, idler, and seals as well as the CVVT gear. It's been a few days now but the daughter says no more P0015 code. I had forgotten which seals go where so when I went searching my local parts houses I got all kinds of different seals. Even the local dealership's parts department got the seal types wrong. Advance Auto had the 2 small seals that go on the drivers side of both the intake and exhaust cams and the dealer gave me 2 of each seal that goes on the pax side of the intake and exhaust cams (It should have been one of each). Autozone gave me some strange seal that did not fit either end. Lesson learned? Buy from IPD or Tasca or FCP or anyone who knows which seal goes where. It's cheaper if you order ahead. The dealer wanted $20 per seal. Ouch. When I did my VVT I did the entire job too, replaced the VVT Gear, TB, tensioners, pulleys, water pump, camshaft seals... the whole lot. You actually only need 1 for the drivers side as the intake cam on that side has a big round plug with no oil seal on the inside around the cam. But the head is machined to accept one so I put one in. I ended up spending $36 plus a little shipping for all 4 seals from an online auto parts shop. Large oil leak after replacing exhaust camshaft (cvvt) seal - help needed!